Premium Quality C6120A UV Florescent Red Inkjets compatible with the Neopost IJ105, Hasler Powerpost. The use of compatible supplies does not void your printer warranty. Premium Quality Q2344A Red Dye Ink Cartridge Inkjet compatible with the Various Postal Machines. The use of compatible supplies does not void your printer warranty. Genuine OEM HP CQ849A, TIJ 2.5 Black Ink Cartridge. 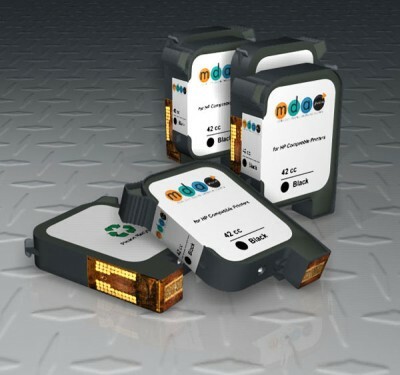 They are designed to work in the HP Mailing Printers printer/copier(s). Genuine OEM HP Q2321A, TIJ 2.5 Hybrid Black Ink Cartridge. They are designed to work in the HP Mailing Printers printer/copier(s). Genuine OEM HP Q2344A Black Dye Print Cartridge. (TIJ 2.5) They are designed to work in the Postal Machines printer/copier(s). 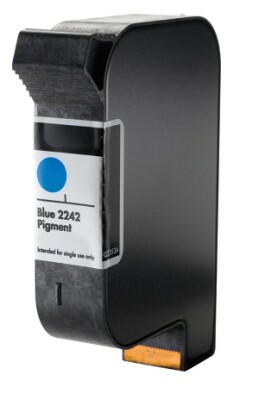 Genuine OEM HP Q2354A Blue Pigment Print Cartridge. (TIJ 2.5) They are designed to work in the Postal Machines printer/copier(s).